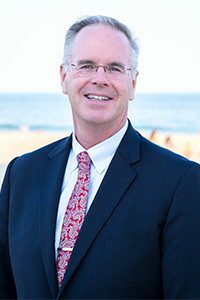 Thomas P. Mullooly is the owner and founder of Mullooly Asset Management, Inc.
An investment industry veteran of over thirty years, Tom started his career in 1983 at EF Hutton. During his time as a retail stockbroker, Tom also became a manager. By listening closely to clients and his peers, Tom found first-hand how many individual investors – along with their brokers — had no game plan for managing the risk in their investments. With that in mind, in 2002 Tom opened Mullooly Asset Management, a fee-only investment advisory firm. As an investment advisor, and not a broker, Tom works strictly for his clients. With the help of point and figure charting, Tom builds a realistic game plan for them. No pie-in-the-sky forecasts or predictions of the future, just a simple game plan to manage what to do if something goes wrong and what to do when things go right. Many of Tom’s financial planning sessions with clients start with a conversation and a simple yellow pad. Tom hails from Long Island and is a proud graduate of Chaminade High School. Tom achieved his BS at CW Post (in three years) in 1983. Tom also received his MBA in Finance from Post in 1987. Outside the office, Tom has served as President of North Wall Little League, and served on the New Jersey District 11 Little League board. Tom has also participated as a Board member of an Adoption agency in Monmouth County. Tom is a daily communicant at St. Rose Church in Belmar and serves as Sacristan, Lector, Eucharistic Minister, and Trustee. Tom also serves on the St. Rose Finance Committee, and the St. Rose High School Advisory Board. In 2018, Tom was appointed by Bishop David O’Connell to join the Diocese Of Trenton Finance Council.